Return to the astonishing world of talking peaches, magic tea, frightening wildlife, and threatening lizard tribes! The fantasy adventure too epic for one graphic novel finally reaches its conclusion. 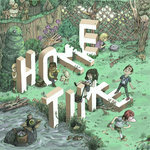 Home Time: Under the River ended with a disastrous tea ceremony which left six kids lost, scared, confused, and even burnt. 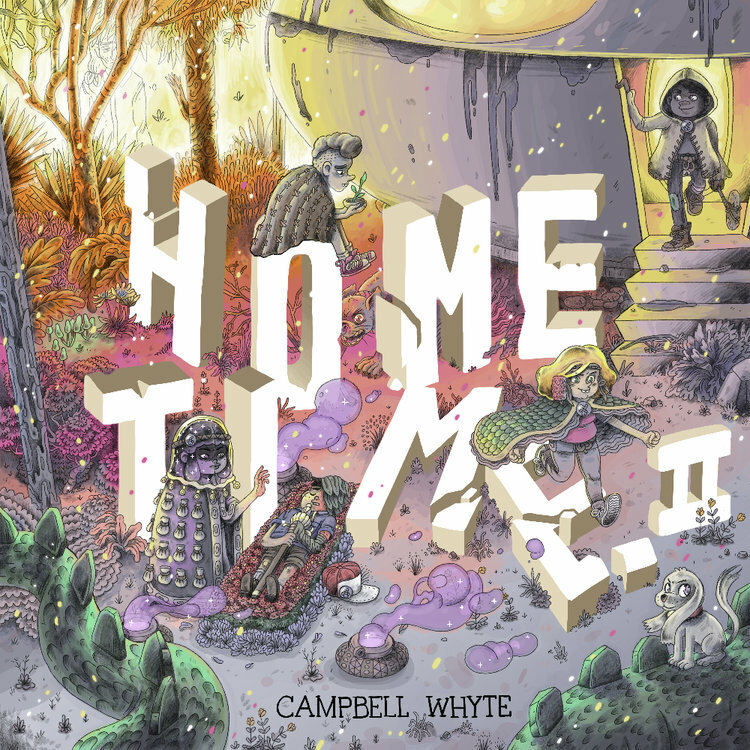 Now, the second half of the Home Time saga picks up from that nerve-wracking cliffhanger, as the children leave the relative safety of Peach Village in search of medicine, answers, and hopefully, a way home. Equipped with a living map, a flask of hallucinogenic tea, and a plan so stupid it just might work, Lily, Amanda, Ben and Nathan will have to pull together at the very time they’ve drifted the furthest apart.